The vibrant town centre is packed with a good choice of shops, restaurants, bars, nightclubs and entertainment venues. Away from all this you'll find time out in Centre Square and lots of parks, galleries and museums. Read the rest of our guide below for the low down on all the best things to see and do in Middlesbrough. 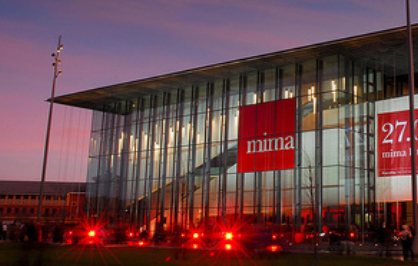 mima hosts an internationally important programme of exhibitions, presenting the very best of art and craft from 1900 to the present day. Bringing together the town's art and craft collections for the first time. Nature's World is the uk's pioneering eco-experience that provides you with information, education, ideas and inspiration for looking after the environment. A multi million pound refurbishment programme has completely transformed the facilities within the park, which covers over 100 acres. Visitors enjoy a unique, behind-the-scenes look in the dressing-rooms, players' tunnels, boardroom, hospitality suites and press room, with experienced guides on hand to illustrate the history and traditions of the club. Tees Pride Middlesbrough 10k race - one of the most popular events in Middlesbrough, bringing together serious athletes, fun-runners, fundraisers and families in a fun atmosphere. At Nature's World we aim to provide you with more than just a visit to the uk's pioneering eco-experience, our plan is to provide you with information, education, ideas and an inspiration for looking after the environment. The farm's visitor centre tells the story of the farm from the 17th century to the present day. You can trace the families who occupied the farm and major farming events, which affected its development. The farm also has a 19th century veterinary surgery, which gives the visitor an opportunity to see some of the medicines and equipment used in the 1890s. Ormesby Hall is an intimate home lived in by the Pennyman family for more than 300 years, with fine plasterwork, carved wood decoration and fascinating portraits. If you like skateboarding, blading or BMXing, the chances are you've already heard about Prissick Plaza. Only the second of its kind in the country, the plaza is a unique, world-class facility for wheel-borne extreme sports fanatics. Stewart Park covers about 120 acres and consists both of mature woodland and arboretum on the southern side, with open parkland on the northern side. White water Course. A world class water sports facility, offering flat-water facilities for the novice and superb white water for the expert. The Cleveland Show is an annual agricultual event held each July. It is set in beautiful parkland at Stewart Park, Middlesbrough, the home of the Captain Cook Birthplace museum. The Middlesbrough MELA, one of the biggest and most spectacular multi-cultural celebrations in the North East. A fabulous mix of music, food, fashion and fun.